Halloween on any other day of the week but Saturday (and maybe Friday) is a total bore don’t you think? All of the fun dressing up and going up and generally creating mischief either get completely cancelled or minimized to next to nothing. I remember it being weird going trick or treating late one night, then having to be in school bright and early the next morning – complete fun kill! 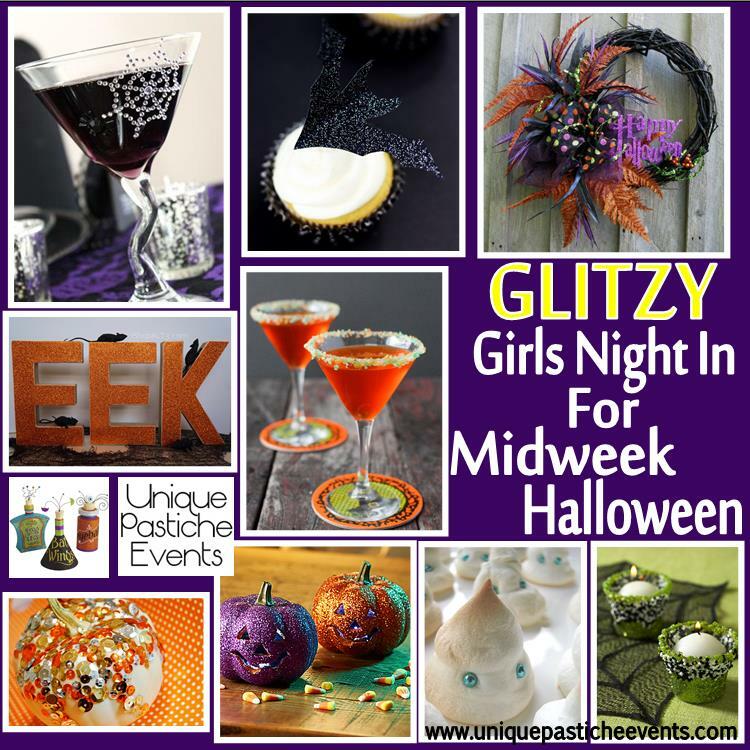 How about hosting a glitzy girl’s night in for Halloween (at least mid-week Halloween)? Have fun, stay in, and catch up with your girls. Maybe pamper yourself before the upcoming weekend festivities? Nothing too crazy is required for this little get together. A few sparkly décor pieces and some fun cocktails to sip on and you are good to go! Though I think it’s safe to say sweets are always a good idea. What is your cocktail of choice for girl’s night in?